Talk to us for tips on how to keep your teeth healthy ! Make a brilliant first impression, every time! Advanced and conservative dentistry to rely on. 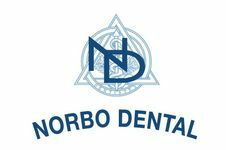 Welcome to Norbo Dental! When you visit our dental practice, you should know that caring for you and your family is our top priority! You can put your mind at ease knowing our entire team of dentists, hygienists, dental assistants and office administrators are constantly striving to provide you with the personalized, gentle care that you and your family deserve. Each of us is dedicated to your entire family's dental needs, and always with your best interest in mind! At Norbo Dental, we perform a broad range of services including but not limited to dental hygiene , laser dentistry, same day dentistry, dental implants, pediatric dentistry and much more! We pride ourselves on being a full service dental practice for the convenience and security of our patients. After all, why go somewhere else, when you can do it all right here in Purcellville with a team you are comfortable with. We look forward to taking care of you! Our dentists are not only highly skilled , but they are also truly amazing individuals! Learn more about Dr. Kirk Norbo, Dr. Justin Norbo and Dr. Peter Havelos. We offer many different treatment options and services for our patients. More often than not, we can take care of all your needs in our office right here in Purcellville! We love our patients, and their feedback is a top priority for us. Read what everyone is saying! Questions, comments, appointment request(s) or feedback? We would love to hear from you! Contact us today.